Har innebygget 4Gbye flash-hukommelse ( Se data under ). - 1.3 megapixel CMOS farge-kamera (Meget hÃ¸y opplÃ¸sning). 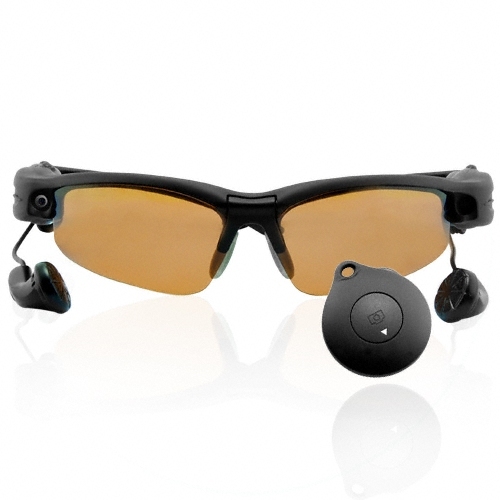 - Solbrille-kamera kan kobles til PC, via medfÃ¸lgenede USB kabel. - Leveres med TrÃ¥dlÃ¸s-Fjernkontroll & Etui. - Kan ta 13.100 stillbilder eller 5 - 20 min. Video. (2 sett kr. 3598,- / 1799,- pr. sett). 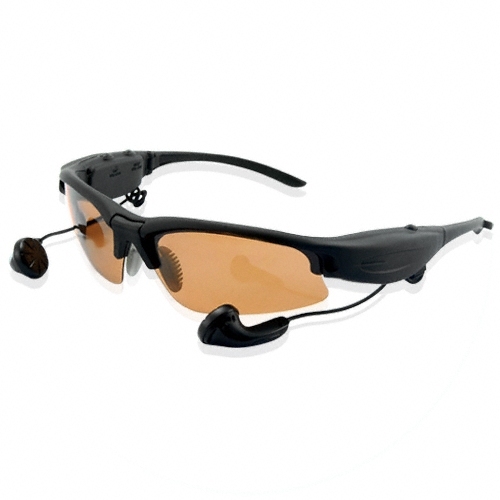 Stylish spy camera sun glasses with built in earphones. 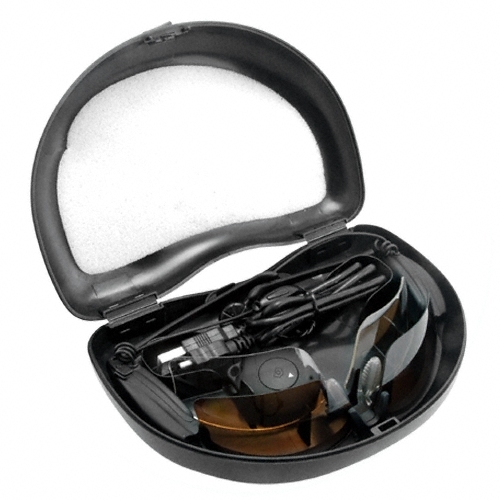 these mp3 shades make a great travel accessory for anyone. 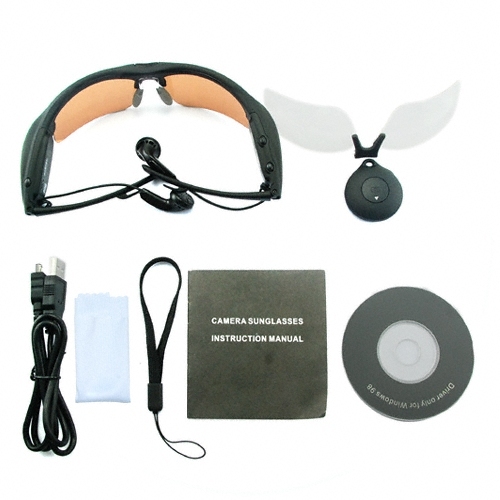 - Camera sun glasses with built in earphones. 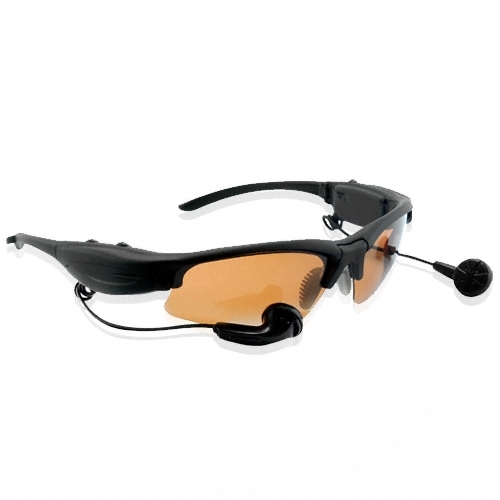 (Spy Sunglasses for surveillance or fun). 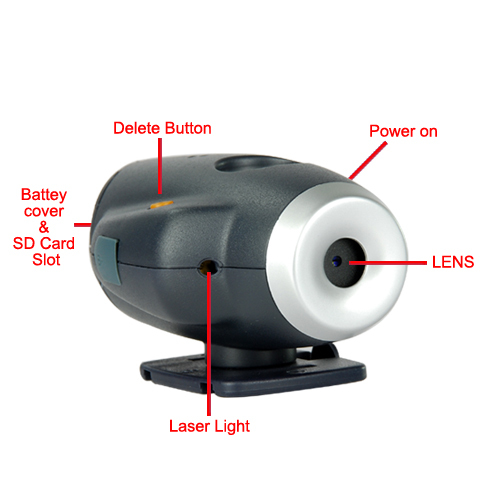 - Camera : 1.3 megapixel CMOS Color Sensor . 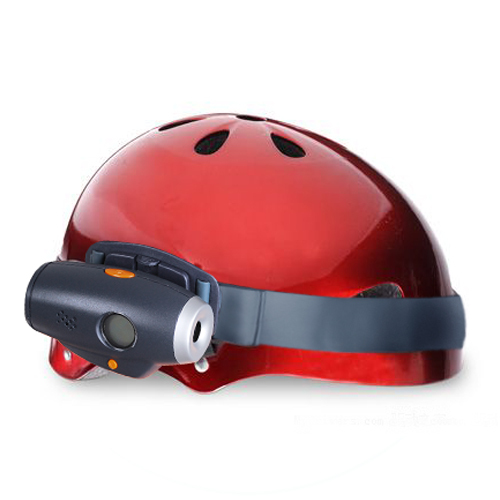 Action Sports Helmet Camera (30FPS). all the action, all the time ! 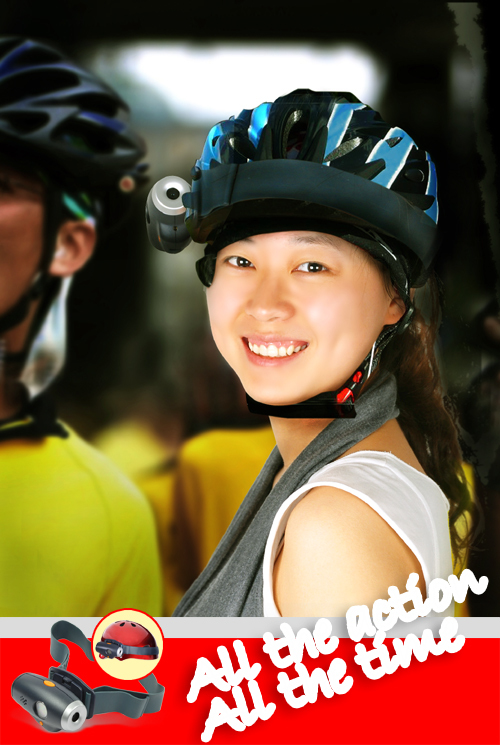 compact helmet cam is the right one for you. to enjoy over and over again. going in to freefall and skydiving ! 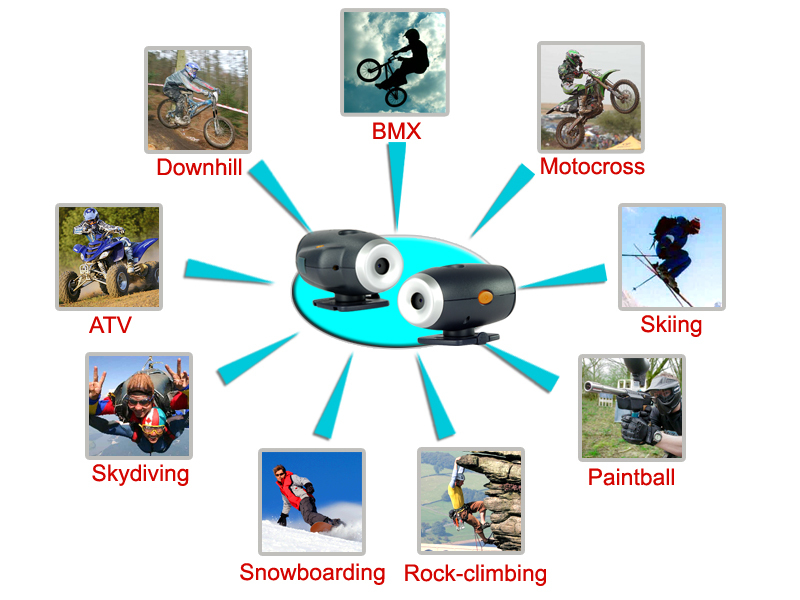 Whatever outdoor sports you love, this camera records it all. the helmet-cam puts you right in the middle of the action. recording, it's that simple ! 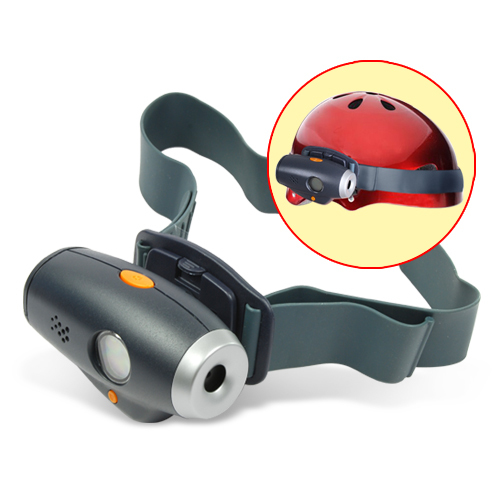 the CVSD-J11 helmet camera records it all ! share your stunts, jumps, races and best sporting moments. Make yourself the star each and every time. those who enjoy fast action games like paintball. 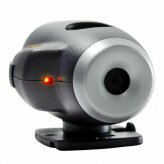 - Captures the outdoors action at 30 frames per second . 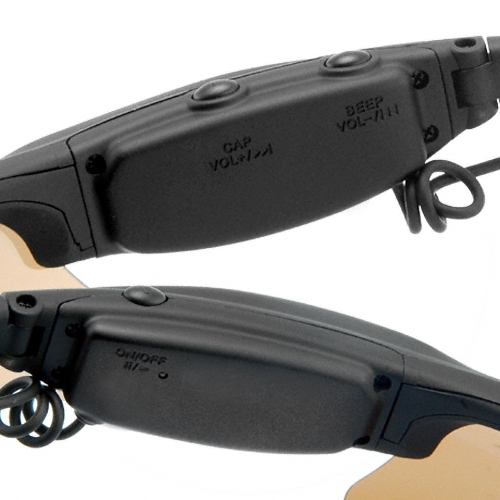 - Securely attaches to helmet using fastening strap. from unintentionally catch the lock switch on SD cards . 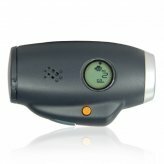 - Model CVSD-J11 Action Sports Helmet Camera . some extreme indoor sports ? 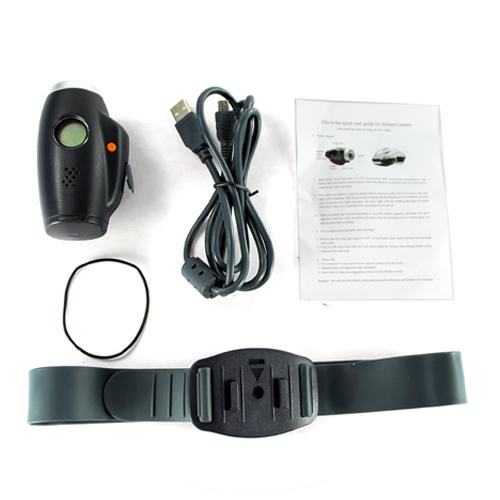 since this camera does not have a IR function. - Does the camera film in color or black and white? - Does it record sound too ? however this has a limited range. is there a way to lose that surrounding noise ? because the microphone is always active. NÃ¥ kan du ta opp alle dine aktiviteter pÃ¥ Video. Leveres med Elastisk bÃ¥nd til hjelm eller lignende. 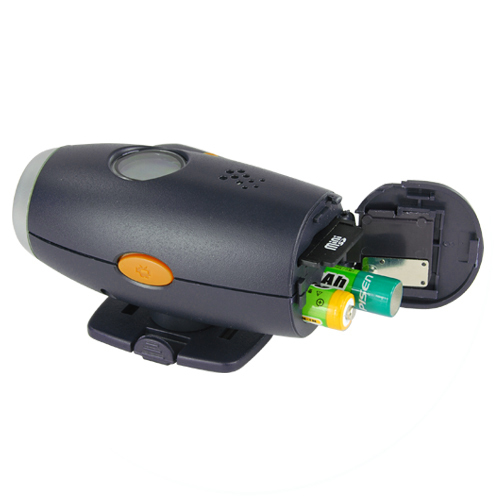 - 0.3 megapixel CMOS farge-kamera. - Hjelm-kamera kan kobles til PC, via medfÃ¸lgenede USB kabel. med en 8 Gb SD brikke (FÃ¸lger ikke med). (2 sett kr. 1198,- / 599,- pr. sett).